The aquaculture sector is an emerging market with enormous growth potential. In recent years aquaculture has shown more growth than all other animal food-producing sectors. Aquaculture is well positioned to address problems such as the necessity to produce more food to sustain a growing human population in addition to restoring a healthy balance in the oceans, as fish stocks and capture fisheries decline. Sustainability in aquaculture is key. Introducing the concept of sustainability, through science and best management practices (BMP's), aquaculture has the potential to change lives, aid development and help our oceans. The science, art, and business of cultivating marine or freshwater food fish or shellfish, such as oysters, clams, salmon, and trout, under controlled conditions. Aquaculture encompasses the propagation, rearing, enhancement, and harvest of aquatic organisms conducted in marine, estuarine, brackish, or fresh water. Aquaculture has contributed to the fisheries trade by generating income, employment and food security. Developing regions, particularly Asia and Latin America have benefited greatly from aquaculture exports to Europe, the United States and Japan. According to FAO, the world aquaculture industry has grown at an average rate of 8.7 percent per year since 1970, compared with a modest 1.2 percent for capture fisheries and 2.8 percent for terrestrial farmed meat production systems over the same period. Shrimp and finfish such as salmon, have become established export products in key markets. Best Management Practices, certification, traceability and product reliability are essential to ensure the industry remains competitive for years to come. There is a growing understanding that aquaculture needs sustainability, through an appropriate environmental, legal and management framework. The role of institutions in mapping guidelines for the aquaculture of tomorrow is fundamental to develop the industry. Institution building, enhanced regulatory frameworks and improved governance are key to improving farming efficiency, food quality and consumer confidence. 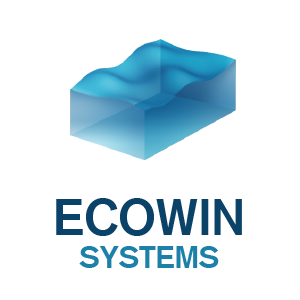 How does Longline Environment approach aquaculture? We are committed to using technology to make aquaculture sustainable. Aquaculture farms have a duty to their customers to raise fish/shellfish in an environmentally friendly manner. Farms also must grow the aquaculture industry in an economically sustainable manner. We aim to build a bridge between the sustainability and the economic needs of aquaculture. 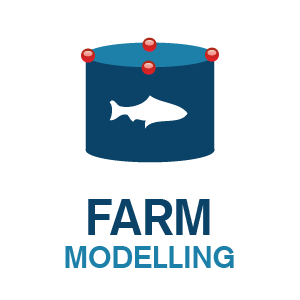 We apply models for offshore and onshore aquaculture farms to determine the optimal production output, the effects on water quality and provide recommendations on the improvement of sustainability and production. Aquaculture provides a livelihood for millions of people all around the world. According to FAO, in 2006, an estimated 43.5 million people worked as fishers or fish farmers. The number of fish farmers was around 9 million worldwide with 94 percent operating in Asia. Aquaculture can produce positive impacts for both people and the environment. If you would like to know more about why aquaculture matters or have any questions talk to us. © Longline Environment Ltd. All rights reserved. The use of this website signifies your agreement to the terms and conditions and disclaimer.